I was about to publish this post when I suddenly remembered another item that I'd bought in September. A quick hunt through September's photos revealed that I'd actually missed half a dozen items off my purchases list, whoops! So this is a re-edited version, with more things added. 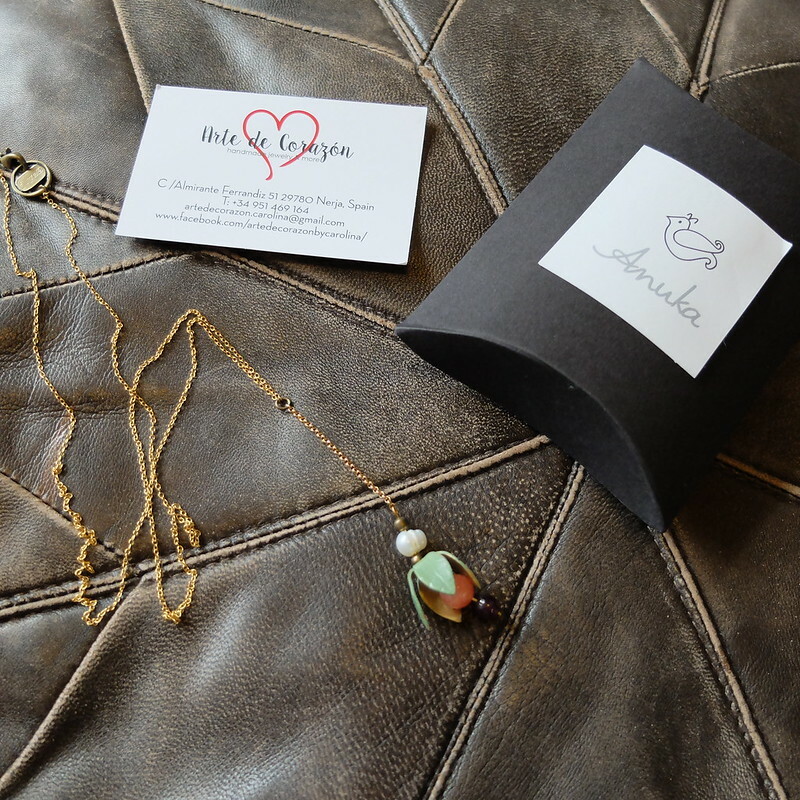 I wanted a special souvenir of our trip to Nerja this year, being our 10 year anniversary, and I ended up with this beautiful handmade necklace by Anuka, a jewellery designer from Madrid. 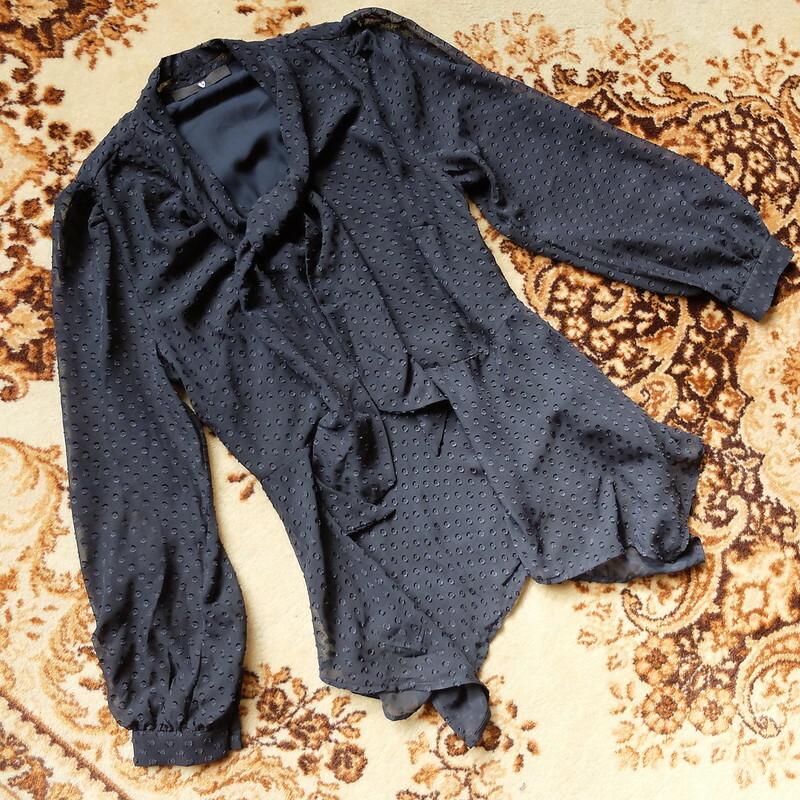 Not the best photo, but it will feature very soon in an outfit post so you can have a closer look then. 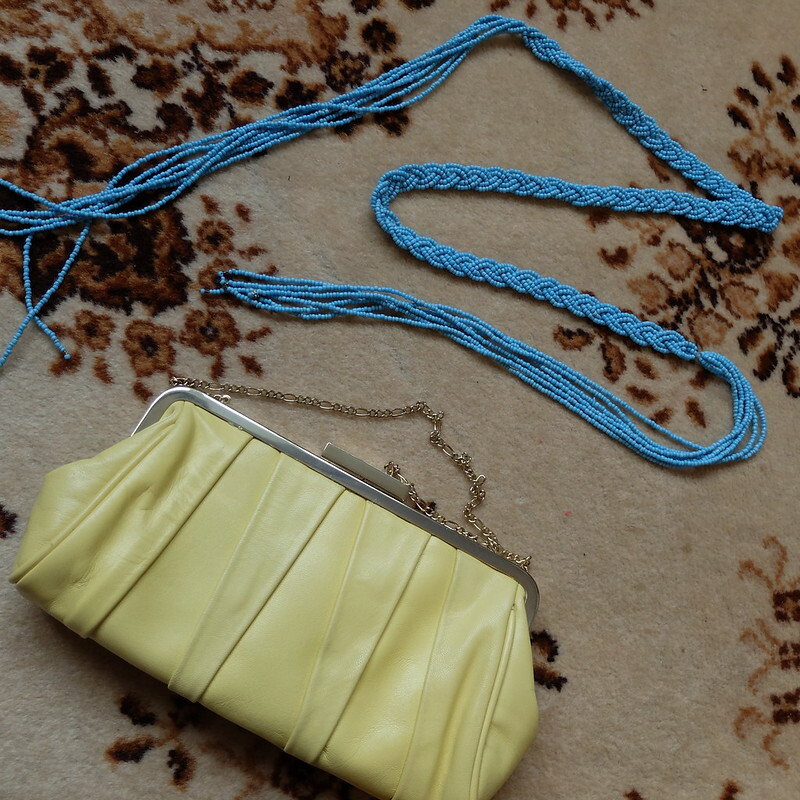 Also in Nerja, I bought this yellow leather bag and blue beaded belt, from a charity shop for a couple of Euros. Back home, my husband found this one for me, it's a gorgeous black and gold stripe 1970s dress by Eastex (£9.50). Today, Eastex is still going and targets women over the age of 50, though if these are the same women that wore a black and gold stripe dress in the 70s, I can't think why on earth they would want any of Eastex's current conservative offerings. 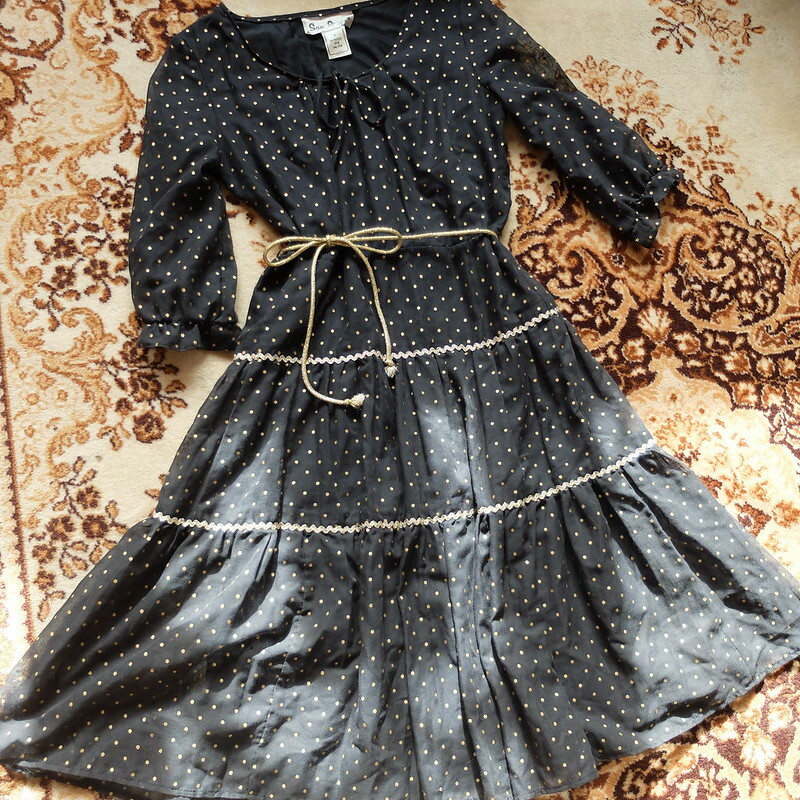 The black and gold theme continued that day with another vintage 1970s dress, this one in a sort of gypsy style (£5). It has gold ric rac! I need another evening gown like a hole in the head, but I couldn't pass up a silk Fenn Wright Manson evening gown for £2.99 now could I? In the same shop I scored a fantastic pair of L K Bennet shoes (£1.99). I thought they looked uncomfortable - 4 inch stiletto heels aren't normally my thing - but to my surprise they fit me really well and I am going to give them a go for around the office. This '70s dress was a find on the bargain rail at a street market, just £5. It had been hemmed, badly, so I had to redo it to make it straight. Maybe it was originally full length? Bear with me, that's not the end of the dresses. On a trip to a nearby posh town, I finally found a white shirt dress that fits me, after a hunt of several years. It was £7, which I think is a lot to charge for a cheap brand dress (it's TU for Sainsburys) in a charity shop, but I like it so much I was willing to make an exception. Then, wham, two more vintage dresses! 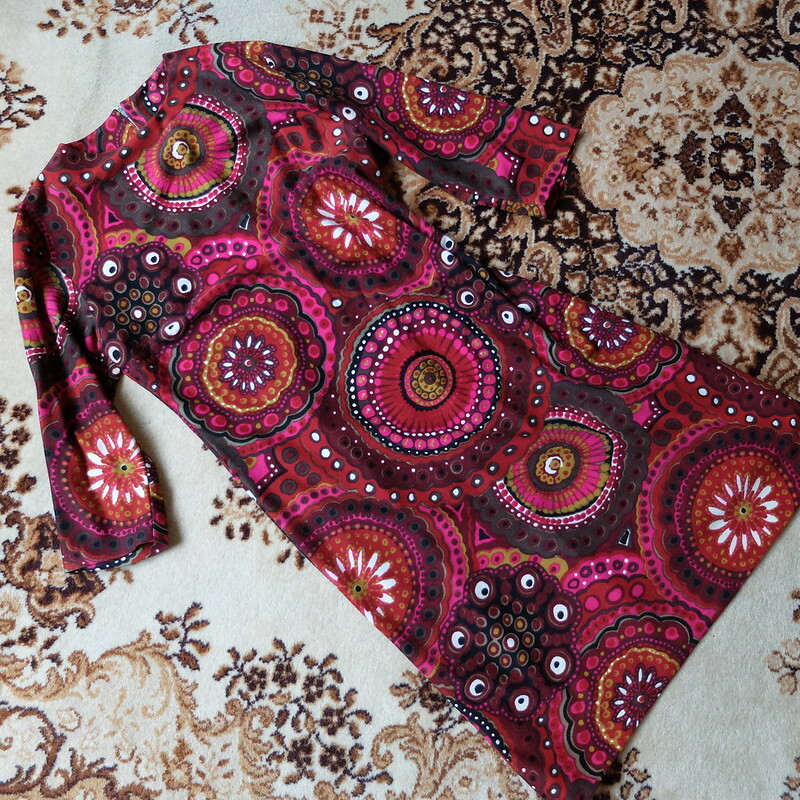 A '60s tunic dress in some kind of cosy synthetic fabric for around a tenner. I have named it my 'psychedelic eyeball dress'. It goes nicely with our living room rug. And then for £12 this utterly lovely and amazing late '50s/early '60s dress that I shall be wearing to work. It has some gorgeous details that I'll have to show you close-ups of another time. A different day, a different town, and I came back with a stripey '80s dress for £3. That's it for dresses. A blouse for work, by Very, off the £1 rail. Gold Clarks sandals (£4.99). 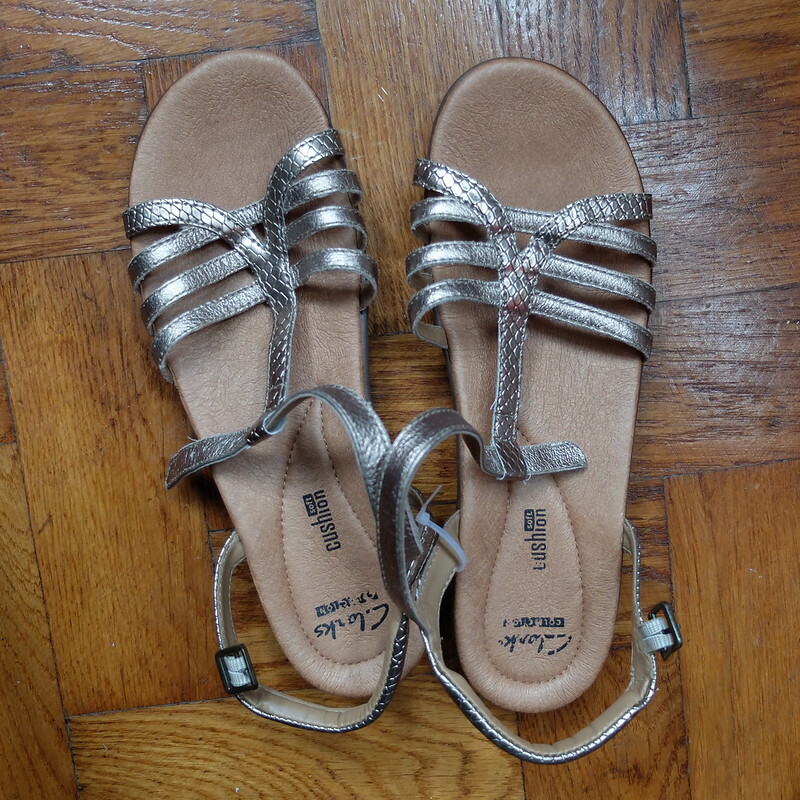 I'm putting these away for next summer, they will be another pair of comfy walk-around-all-day sandals for hot days. Ha, there was one more dress! A black 'Panache' 1970s vintage dress (£3). The perfect little black party dress. M&S coral silk blouse (50p). It's a bit frilly isn't it, but frills have been around for a couple of seasons now and I can tone it down with a sharp skirt. Or totally play up the frills, I haven't decided yet! 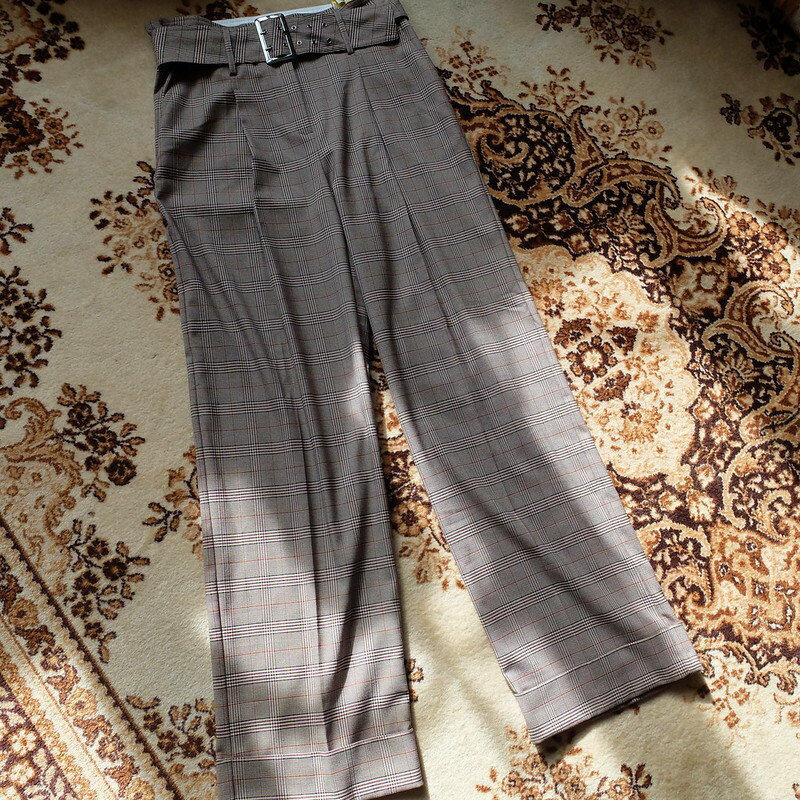 Squeezing in a last few purchases at the tail end of September, my husband found some lovely trousers (long!) from M&S, brand new with tags on for a mere £3. I like the 'heritage check' that is very 'in' this season. 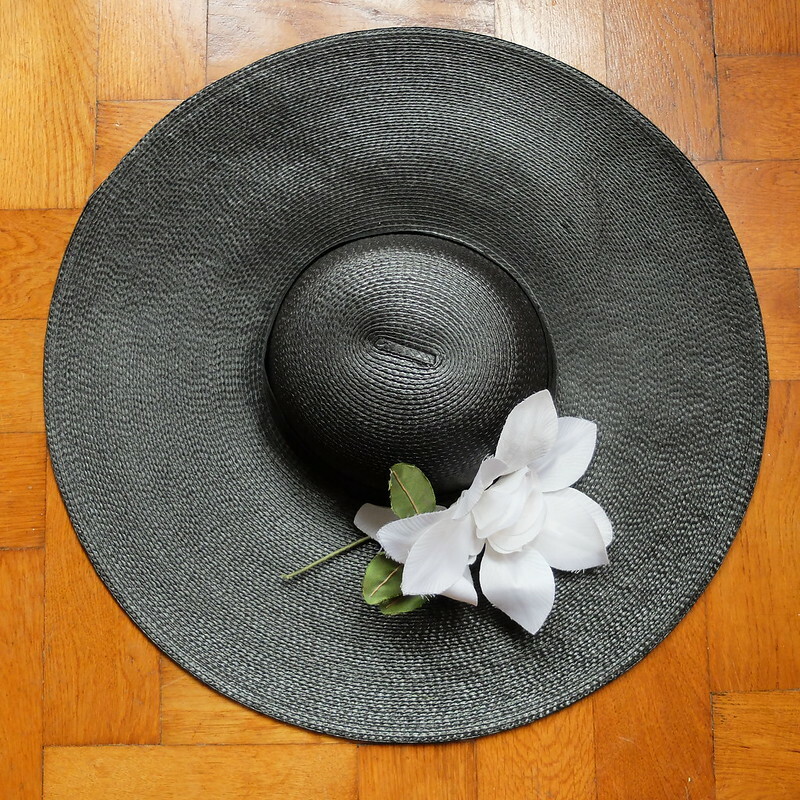 A gift from my husband, a whopping great hat by Whiteley. The British brand is still going, from their base in Luton. I think this would have been an expensive hat in its time judging from the current cost of their occasion hats. I don't have any weddings to attend next year unfortunately, but there's one coming up in 2019. 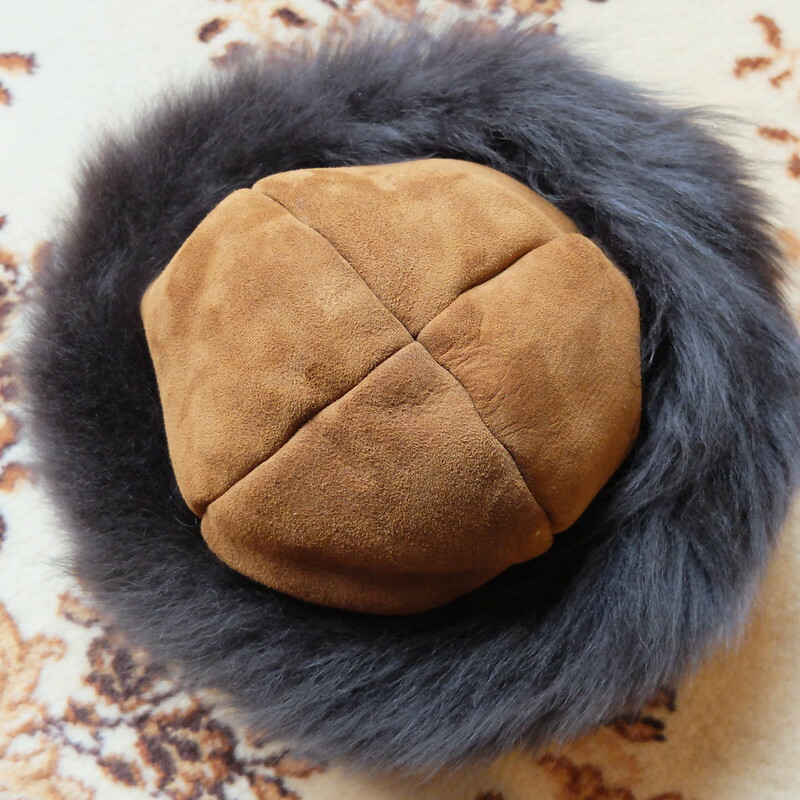 He bought me a second hat actually, this amazing vintage sheepskin one, that is oh-so-cosy. If the temperature drops even slightly I'll be wearing it! I also bought an M&S bra, just to be comprehensive about my purchasing, but other than it's all non-high-street. And yes, I am still ejecting items from my wardrobe at a rate of knots to make room for all of these new purchases. Otherwise I'd essentially be living in a wardrobe. Ooh wait, that sounds fun! Wow! didn't you do well? The sheepskin hat and the Clarks sandals are both things I'd have snapped up. There's actually a bit of a maximalism movement at the moment, linked with things like Advanced Style, and it's refreshing to see it embraced instead of the 'capsule wardrobe' approach. I was really pleased to find so many lovely vintage pieces. I just can't afford the level of detail and quality that I like when buying brand new! Thanks Cate, it's sometimes the most simple things - a white dress - that can be the hardest to find! Congrats on that fantastic haul! You really did find some amazing bargains. Love all the vintage dresses. And I truly believe you can never have too many! Thanks Theresa for the show of support for maximalism!! So many fun pieces! I really like the dresses, especially that bright bold one. That's the great thing about shopping vintage or thrift...you can find so many unique and interesting pieces. Amen, Suzanne! I love finding such unique stuff. So many great dresses. I am quite envious! I have the Tu dress in black also bought recently from a charity shop and enjoy wearing it. I think charity shop prices are maybe higher here though as £7.00 is not at all high here to pay i.e. the east coast of Scotland. Love the 70s black party dress. Great shopping and great taste in dresses! Thanks for visiting my blog Alysia! That's funny that you have the same TU dress in black. I'm in quite a cheap area admittedly, hence my low budget threshold where charity shopping is concerned! I was going to make the same comment about Eastex as Vix - that its customers have grown up with it. That said, I find a lot of the 'older lady' brands can turn out a gem or two, especially when it comes to quality classics. You've made some great finds, especially the dress you plan to wear to work and your psychedelic shift. And Sainsbury's does some things that are surprisingly good quality, you'll probably get loads of wear out of that white dress. I can't wait to see how you style it! Good lord what an amazing haul! I can't decide what I like the best and such bargains I am in awe. I also have the TU dress in black. Ok I have to admit it: I am truly really envious (good envy) on all you have found ! SO MANY gorgeous dresses. The eyelet dress, the Eastex dress, the trousers... oh I wish I lived near you Porcelina so I could borrow a few. You certainly have an eye for finding marvels, same as your husband. You always have the best thrifting hauls! 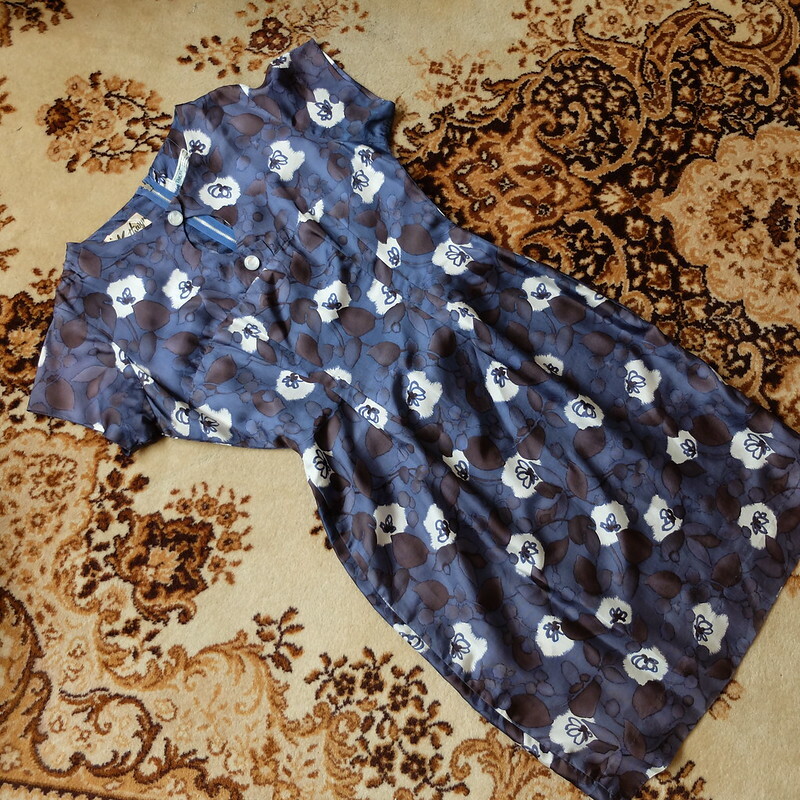 Those dresses are all amazing finds and I can't wait to see how you wear them.